Ezy Power Banks is a leading supplier of promotional power banks. They have a largest range of branded power banks in the Australian promotional products industry. The power banks are a perfect gift for your customer and can be branded with your corporate logo. Check out our new promotional power banks website. Ezypowerbanks is a suppliers of an extensive range of branded power banks for promotional usage. We have one of the largest range of custom power banks in the Australian promotional products market. Whether you need a large or small power bank we have you covered. Our power banks range can be used for almost any occasion you may need a promotional product to make an impact with you customer. To help you with you marketing campaign Ezy Power Banks has all your branding needs covered. Our large range or promotional power banks means that we can offer a number of different branding surfaces for you to place your logo. Our slim power banks have a large print area and are great for digital print. The slim power banks are also available in metallic finish for a large laser engraved logo or message. 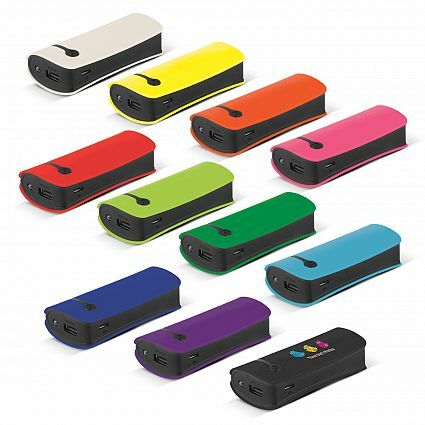 All our power banks can accomodate a pad printed or screen printed logo up to 4 spot colours. Pad printing is great for some of our power banks with a curved surface or when only a small print area is required. For screen printing we have a number of power banks with nice flat surfaces to print your logo. Screen print offers a beautiful finish and a lasting effect. If it is something more elegant or classy that you are after laser engrave on a metal or timber finish maybe be your chosen option. We have promotional power banks constructed by both aluminium and timber finished. The laser engrave looks exquisite and it is sure to leave a lasting impact on your customers or promotional campaign. Whatever your need please contact Ezy Power Banks at www.ezypowerbanks.com.au or simple call on 1300 753 675.